I’ll admit that my favorite selection from the shiny white Good Humor jalopy that cruised our neighborhood was simply called “Toasted Coconut”: vanilla ice cream on a stick, coated with lots of sugary-sweet coconut. 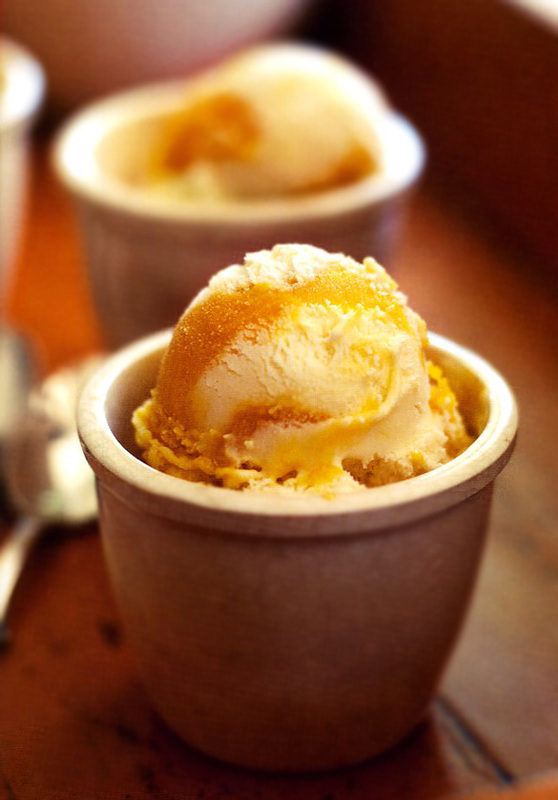 The photo above features Toasted Coconut Ice Cream swirled with Mango Sorbet, one of Lebovitz’s favorite combos. Toasted Coconut Ice Cream Recipe © 2007 David Lebovitz. Photo © 2007 Lara Hata. All rights reserved. All recipes and photos used with permission of the publisher. This is the BEST ice cream recipe I have ever made. I have made it many times and it is great! It tastes like a macaroon, fabulous. I also loved this recipe. I followed it to the letter because it was the first one I made in my new ice cream maker. However, I was wondering…at the point in the recipe where it says “discard the coconut,” I had pangs, because I didn’t want to throw away all those delicious golden threads. Do you think one could reintroduce a few teaspoons of the coconut at the end for extra texture? 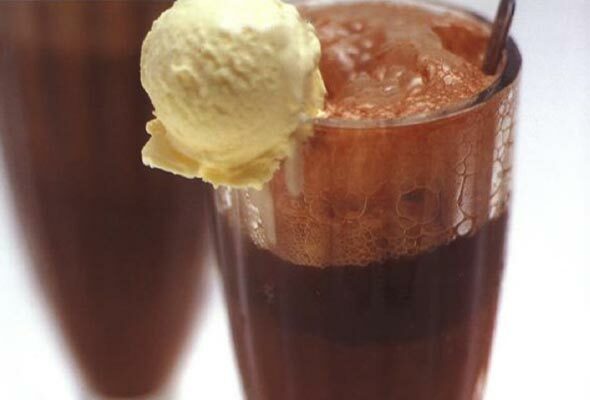 Or would this ruin the smooth creaminess? Yes, you can certainly fold some of the toasted coconut back into the just-churned custard. I don’t see any harm in trying that. Perhaps omit the cup of heavy cream that doesn’t steep with the coconut, go through all the steps including cooking the custard, and then add a cup of coconut milk to the already-strained custard. BTW, I’ve made quite a few recipes from this book and they’ve all been really good. 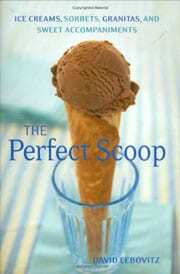 The Guinness-Milk Chocolate ice cream on page 32 is especially wonderful. Actually, couldn’t wait and made it last night. Substituted lite coconut milk for the whole milk, and it was fantastic. No problem with the whipping or freezing — consistency is fine. And so so yummy! I think building on the coconut flavor using coconut milk is a great idea, but I would be careful substituting it for the cream—the fat content is generally quite crucial to the consistency of an ice cream, and coconut milk and heavy cream are not interchangeable in terms of fat content. I think you may have to play around and try this more than once in order to maintain as nice a consistency as the currently balanced recipe, but I’d probably lean towards replacing the whole milk rather than the cream. You’re more likely to get a nice boost in flavor without sacrificing any of the creamy richness you want in a finished ice cream. In any case, I certainly would hesitate to replace as much as half of the cream, or you risk ending up with a grainier ice cream once it’s turned. Hope that helps, and have fun experimenting—that’s always my favorite part of cooking! This is the second recipe i made with the ice cream maker. For some reason though it turned out bad… I think I must have done something wrong, because the ice cream didn’t taste like coconut. We are so sorry that the ice cream did not work for you. Perhaps you could tell us a bit more and we can try and figure out what may have gone wrong? Katie, how long did you steep the toasted coconut, and was the milk-cream at the right temperature? This is exquisite. Pairing it with a deep chocolate cake for a dinner party. I did not, however, discard the coconut once it flavored the cream. I saved some to sprinkle on top as a garnish and took a spoon to the rest when no one was looking. Awesome. The best ice cream I’ve ever made. We lapped up every drop, and now I’m lusting to make the recipe again. I really liked the smoothness of the finished product, which wouldn’t have been the case had there been flakes of coconut. Definitely do not toss that coconut! I spread it back out and re-toasted until deep golden brown and crispy. It’s crazy delicious, with or without the ice cream. I made this and it’s my absolute favorite. However, I kept all the coconut in because I wasn’t bothered about the finished ice cream being smooth, and it was MAGNIFICENT. Like a Bounty bar without the chocolate. Love that description, Julie! And so glad that you love the recipe. I just made this completely without dairy. I allowed 2 cans of coconut milk to separate in the refrigerator and spooned off the coconut cream. I used 2 cups of the coconut cream for the heavy cream and 2/3 of a cup of light coconut milk plus 1/3 cup of the liquid left from the separated milk for the whole milk. The texture is right on. Superb, dskaar! Thanks for the info. It will definitely help future cooks who might have a dairy sensitivity. I replaced the final cup of cream (that you add the custard to) with full-fat coconut milk and it was perfectly creamy. Lovely tweak, Claire. Brilliant. Appreciate you taking the time to let us and other readers know! I took the toasted coconut and dried it in the oven at 175°F. I folded it into some brownie batter and sprinkled some on top after I removed the brownies from the oven. A scoop of ice cream on top of the warm brownie was decadent. Niiiiiice, Ted! Thanks so much for sharing your toasting trick! I made this and it was amazing – one of the best ice creams I’ve ever had. The richness of the coconut infusion is like a deeply caramelized vanilla. Yum. One tweak – in addition to the unsweetened shredded coconut used for infusing the milk/cream, I also toasted some cane-sugar-sweetened organic shredded coconut and mixed it in while the ice cream was churning – I highly recommend this. On the first night, I paired the ice cream with homemade salted butter caramel sauce and on the second, homemade chocolate syrup and chopped dry roasted and salted macadamia nuts. Honestly, it doesn’t need any accompaniment because the flavor is exquisite but it’s fun to try new things. Terrific, Linda! Thank you so much for sharing your tips and tricks!